The kid gloves are coming off! The ÆRENA 2.0 Summer Upgrade has arrived, delivering game-changing features and enhancements. It’s a new age for ÆRENA, and it kicks off with the premiere of HAMMER, the robotic, powerhouse enforcer of the INCquisition. To celebrate, all in-game prices have been slashed MASSIVELY! – HAMMER, the ultra-tough, Æther-powered robot from INCquisition. – Complete visual overhaul with new effects, animation system, and UI. – Introduction of Daily Missions and new Main Missions. – Unlocking of Skins for Champions and Ships. – Revamped League Tier system with new sub-tiers. ÆRENA is a deadly game of tactical, turn-based combat featuring competitive, cross-platform gameplay across PC, Mac, iOS, and Android. Build your team of Champions and Ship, arm them with the latest Æther Shells, and obliterate your opponents in one-on-one duels to the death in an original Ætherpunk universe. 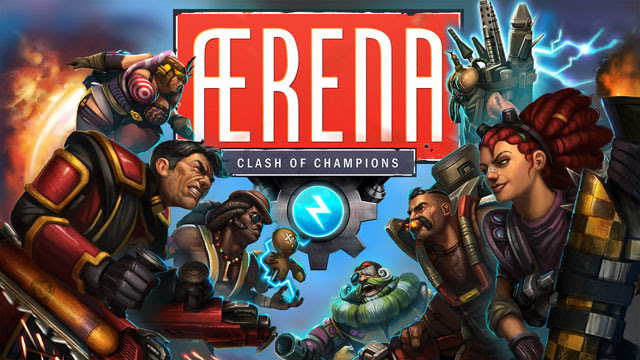 Launching in early-2014, ÆRENA has been a frontrunner in crossing the boundaries between desktop and mobile with cross-platform gameplay. Together, the Electronic Sports League (ESL) and ÆRENA have set out to bring competitive esports to core gamers worldwide, regardless of platform.